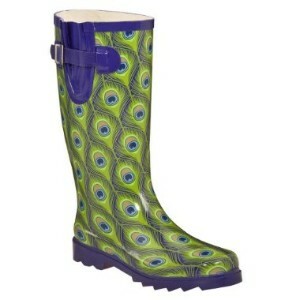 Ashley alerted me about these peacock rain boots at Target. Anyone who knows me, knows I have a slight obsession with all things peacock! I really don't need a new pair of rain boots since my Grammy gave me an awesome pair of Coach rain boots several years ago, but at $24.99, how can I resist? INCREDIBLE ! Its very unique. Loved it. I would love to buy similar one for my self as well..